A particle of mass in an infinite spherical potential well of radius is described by the Schrödinger equation . 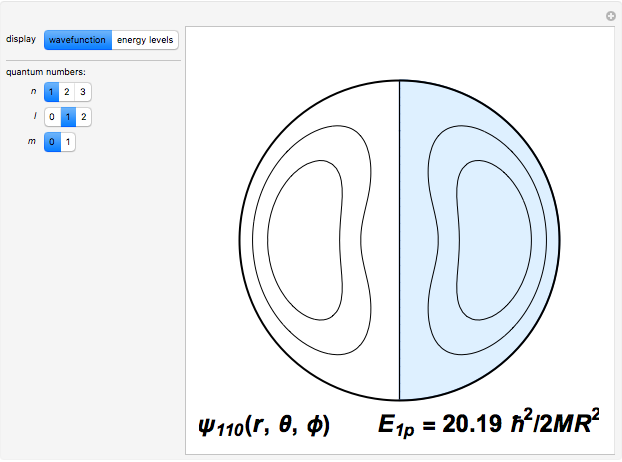 The wavefunction is separable in spherical polar coordinates, such that , where is a spherical harmonic, a spherical Bessel function, and is a normalization constant. The boundary condition that at is fulfilled when is the zero of the spherical Bessel function . The quantized energy levels are then given by and are -fold degenerate with . The conventional code is used to label angular momentum states, with representing . Unlike atomic orbitals, the -values are not limited by ; thus one will encounter states designated , etc. 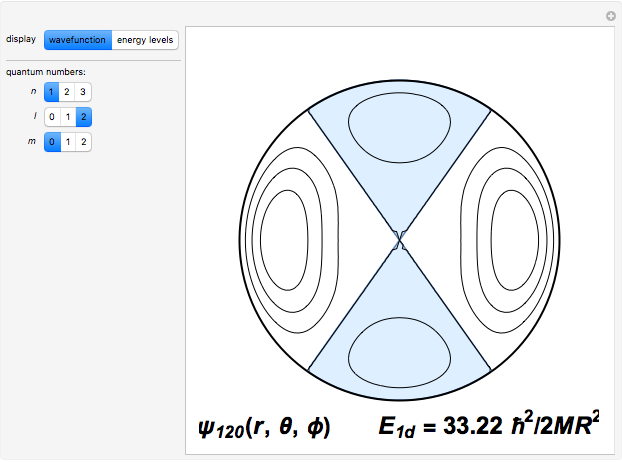 This Demonstration shows contour plots on a cross section of the sphere for the lower-energy eigenfunctions with and . For , the eigenfunctions are complex. In all cases, the real parts of are drawn. The wavefunction is positive in the blue regions and negative in the white regions. 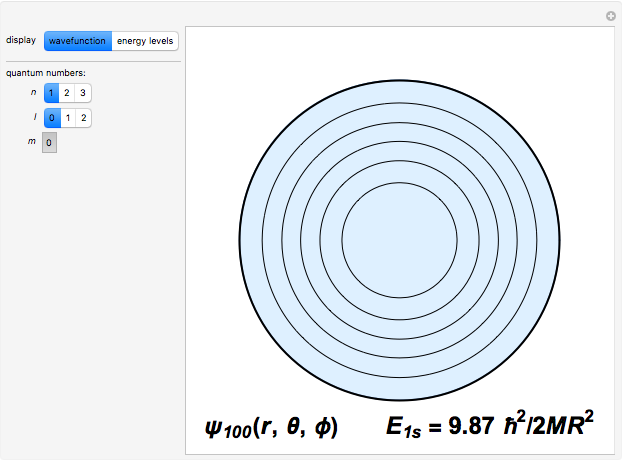 You can also view an energy-level diagram, with each dash representing the degenerate set of eigenstates for given . S. M. Blinder "Particle in an Infinite Spherical Well"